Welcome to the Solutions of Spirit private Facebook group information page. 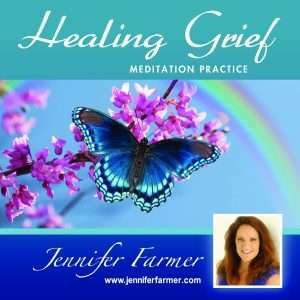 I’m Jennifer Farmer and I’m so happy you are here. 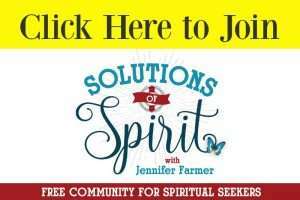 I created the Solutions of Spirit support community for enthusiastic spiritual seekers ready to learn and explore all things Spirit alongside other like minded people in a safe and supportive environment. All members are asked to follow our founding principles of love, respect honor, kindness and support. The group is open to all who can follow these principles, no matter where you are on your journey. The SOS community is intended to be a spiritual space for you to learn, grow, share and heal with like minded people. You’ll be surrounded with new friends who you can learn and discuss all things Spirit. 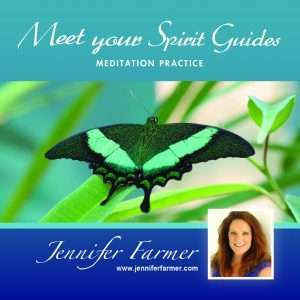 If learning and exploring meditation, spiritual living, psychic development, connecting with the Spirit World and implementing spirit infused solutions excites you, congratulations, you have found your new inspired spiritual space. This is a closed group format which means you will need to request to join. As a closed Facebook group your posts, comments and participation are seen only by other members of the group. In short, what happens here, stays here. You are permitted to share the page with your friends and family and invite them to join. We would love to have you in our community. Joining is just a click away. I will be in the group offering suggestions, guidance, mini training sessions and much more. If this all resonates with you, please join us today. P.S. Click here for more information about my services. Community Guidelines are put in place to preserve the integrity and purpose of the group. Guidelines are subject to change based on the changing needs of the community. It is important to respect fellow group members feelings, beliefs and opinions. If you are rude, disrespectful or spam the group, you will be banned. ***No Self Promotion of your programs or services. We’re here to support one another in our spiritual journey process, so no sales pitching allowed. This is not a place to promote your blog/business/etc. If you see any self promotion type posts please tag me in the comments so I can get it taken down as needed. Thanks for understanding! ***Self promotion also includes – posting your own content in the group and not in a specific (and relevant) thread. This includes posting links to surveys or creating surveys in the group, posting photos with your social handles, URLs or business name on them AND posting “free” offers. ***You can share a book, program or service you love, but do not post affiliate links. ***Help each other out. This is a loving and supportive community, so offer genuine feedback and helpful insight whenever possible. Ask questions and ask for help. Most importantly, offer the same to others in the group. Be the kind of supportive friend that you want and need on your own spiritual journey. ***Do not post in the group and ask people to PM you to find out more about what you offer, how you can help or to work with you. This is another form of selling and self promotion, so please send a PM only when a fellow member requests it personally from you. ***Have fun. Make new friends. Post your successes, challenges, no matter how big or small. Share your thoughts and experiences because they are valuable to others.